Recent stories in Politico and The Washington Post paint a picture of unprecedented obstruction by Senate Republicans of President Barack Obama’s judicial nominees. “Trump set to reshape judiciary after GOP blockade,” blared Politico’s Burgess Everett on Dec. 16. Nine days later, it was The Post’s turn. “Trump to inherit more than 100 court vacancies, plans to reshape judiciary,” wrote Philip Rucker and Robert Barnes on Dec. 25. A new report from Senate Judiciary Chairman Chuck Grassley, R-Iowa, casts a different perspective. According to Grassley, the committee that processes nominees operated much the same as it did under Democrat control. In fact, Obama ended up with three more judicial confirmations than his Republican predecessor, President George W. Bush. Obama had a Democrat-led Senate for six of his eight years in office, while Bush had slightly less than six due to a party-switching senator in 2001. It’s certainly true that Trump has a remarkable opportunity before him to transform the federal courts. But to suggest that Obama didn’t do the same during his eight years simply isn’t true. Obama appointed two of the eight current members of the U.S. Supreme Court. Justices Sonia Sotomayor (age 62) and Elena Kagan (age 56) could spend the next 30 years or longer shaping legal opinions during their lifetime appointments. 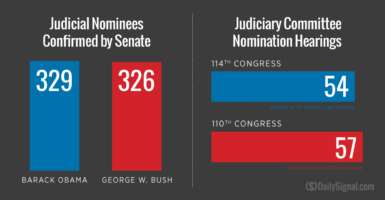 Obama ended up with three more judicial confirmations than his Republican predecessor, 329 to 326. Obama’s influence on lower courts might be even more dramatic. The Daily Signal reported in September that liberal judges now control nine of the 13 federal appeals courts. That’s a staggering 70 percent. U.S. courts of appeals often wield more influence, too. Because of the limited number of cases heard by the Supreme Court each term, appellate judges frequently have the last word. Obama also appointed 268 judges to U.S. District Courts—seven more than Bush. Here’s how those numbers compare: In the current 114th Congress, which Republicans control, Obama’s nominees had 54 hearings, compared to the committee’s 57 hearings for Bush during the 110th Congress. Grassley cited the Senate’s constitutional responsibility to provide a check on the president’s nominations in the “advice and consent” clause of the U.S. Constitution. When confirmed by the Senate, a president’s judicial nominees serve lifetime appointments (unless they choose to retire or are impeached). Several of the Obama nominees Grassley shepherded through the Judiciary Committee did so in spite of protests from conservatives. In January, Heritage Action for America, a sister organization to The Heritage Foundation, urged the Senate to halt the confirmation of Obama’s nominees entirely. The Senate ended up confirming a total of nine Obama judicial nominees in 2016. Not a single Obama nominee was rejected on the Senate floor by Republicans. Of course, the biggest confirmation battle came after the death of Supreme Court Justice Antonin Scalia in February. Obama nominated U.S. Appeals Court Chief Judge Merrick Garland in March to replace Scalia. Garland never received a Judiciary Committee hearing or Senate vote, and it’s now President-elect Donald Trump’s opportunity to pick Scalia’s replacement. 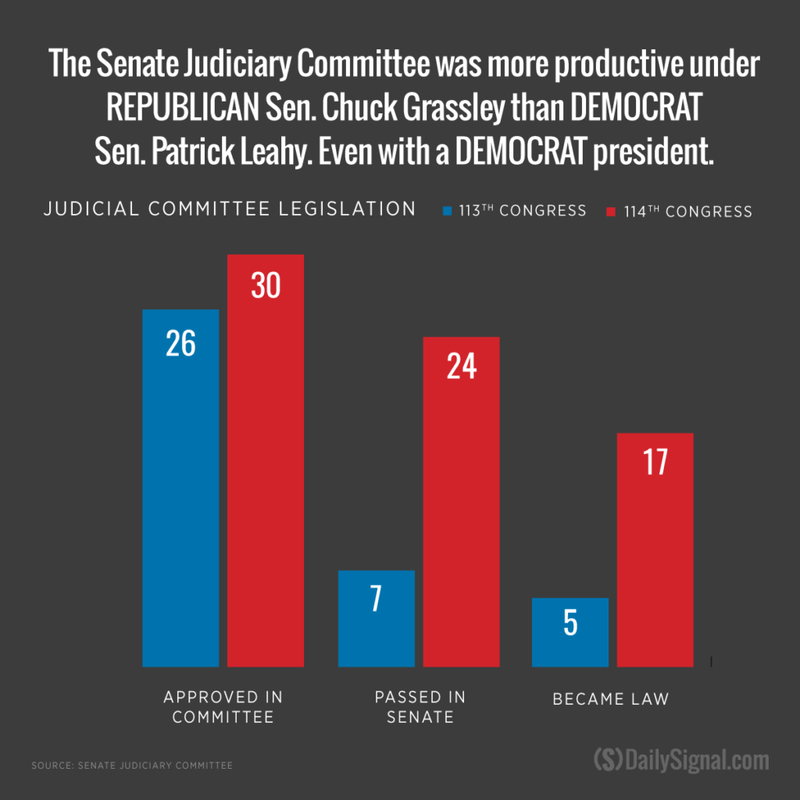 In his report, Grassley also noted the Judiciary Committee’s work beyond nominations. He cited a “commitment to bipartisanship, an increase in productivity, and a return to regular order” that resulted in passage of 24 bills in the Senate, 17 of which became law—albeit not all of them conservative. Those numbers outpace the work of the previous Congress, when Democrats controlled the Senate and the presidency. 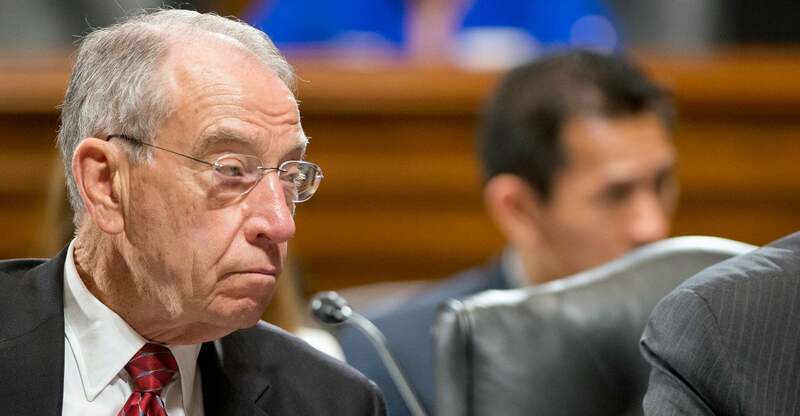 The Senate Judiciary Committee also plays a role in government oversight, and Grassley has given whistleblowers a platform to report “waste, fraud, and abuse within the federal government,” according to the report. 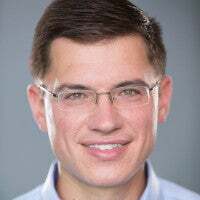 He also helped advance three government transparency bills through the Senate to enactment: the FOIA Improvement Act, the Federal Bureau of Investigation Whistleblower Protection Enhancement Act, and the Inspector General Empowerment Act.